Gardenia augusta (Gardenia augusta): growing, planting, caring. 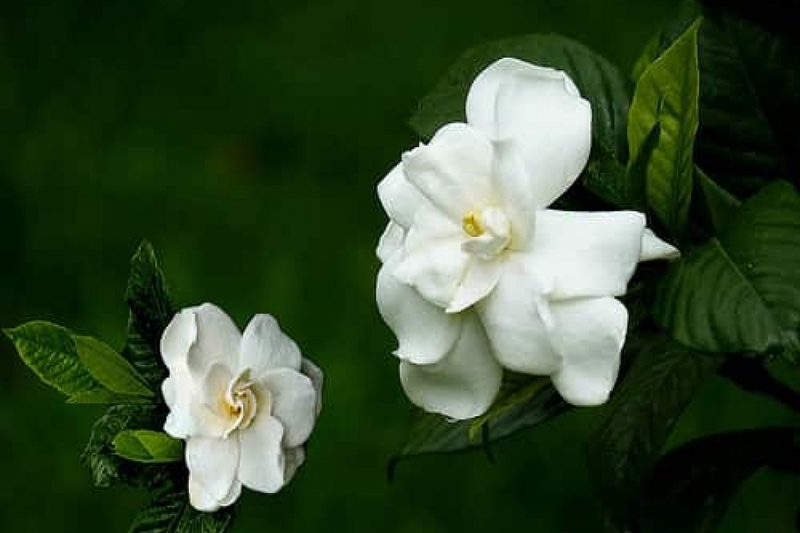 Gardenia jasminoides - the gardenia or cape jasmine - is an evergreen flowering plant of the coffee family Rubiaceae, native to Asia, and widely used in gardens in warm temperate and subtropical climates, and as a houseplant in temperate regions. It is a shrub with greyish bark and dark green, shiny, evergreen leaves with prominent veins, and white, large, funnel-shaped flowers blooming in summer and autumn -and among the most strongly fragrant of all flowers. Gardenia is a genus of 200 species of evergreen trees and shrubs from savannah or tropical forests. The leaves are opposite, arranged in whorls, thick, lustrous. The flowers are at the top of the branches, very fragrant, often white, shaped in tubes or funnels. As a savannah and rainforest plant, your gardenia will appreciate being planted in a draining mix. Indoor potting soil is usually mixed with heather earth. Choose a tank of at least 10 liters and put clay balls at the bottom. Soak the root ball for a moment then place your gardenia in the tank. Add your soil-heath mix to cover all the roots. If necessary, lift the plant to adjust the planting depth. Avoid watering with tap water if it is very calcareous, water with rainwater or filtered water. Place your gardenia in the dim light, not too close to a radiator. Gardenia does not like excessive moisture, but it often needs to be watered. As soon as the top of the soil becomes dry, water until the soil is moisten. During the growth period (spring, summer), the watering should be regular - about twice a week - but measured in order not to drown the roots. In the fall, gradually space the waterings until the winter when a simple input of water twice a month should suffice. Trim the big gardenias after flowering, between November and March. You can delete 1/3 of the volume. At the end of winter every 2 years, repot your plant in a slightly larger pot, adding potting soil and Heather earth. If the flower buds fall, it is because your gardenia goes through sudden temperature variations or drafts. In the summer, if you can, get your gardenia outside, sheltered from the wind and in bright light. Get your gardenias inside, most varieties fear frost!